Collagen collagen collagen. We hear about it all the time. If you want to make skin look younger, increase collagen production. But what exactly is collagen? Why does it matter to skin aging? And how exactly do we increase production? Collagen is a type of protein, a natural substance in the body that helps provide strength and structure. Some refer to it as the protein that “holds the body together.” It’s present in bones, muscles, tendons, connective tissues, and skin. Throughout the body it provides firmness to the tissues, and is also involved in keeping joints healthy. For skin specifically, collagen helps form a type of netting-think a tennis net-on which new cells can grow. When we’re young, that netting is smooth and even and strong, which is why we have smooth skin with few wrinkles. As we age, however, the body’s ability to produce collagen starts to slow down. We also suffer damage to that netting. UV exposure, stress, poor diet, and other factors stretch, pull, and break it down so that it starts to sag and lose its firmness, which translates into visible sagging and bagging. That’s why, when we’re talking about delaying the affects of aging, we want to boost the production of collagen, as when the skin has a good supply, it can better repair and rebuild itself, and restore some of that firmness that we naturally lose over time. Though we can’t help the fact that we age and collagen production naturally slows down, we can try to avoid these other factors to reduce damage and protect collagen. Doing so not only preserves younger looking skin, but also helps keep joints, muscles, and bones healthier. So if collagen is so important to firm, strong skin, how do we boost our production of it? That’s the big question, and we have seven answers for you. Eat foods that naturally supply collagen. Yes, we get consume nutrients in foods that support the production of collagen. Dark green veggies, for example, contain collagen-producing agents. Other good options include bone broth (one of the best), egg whites, meat, beans, and cheese. Garlic, onions, and cabbage also contain sulfur, which is essential in collagen production. 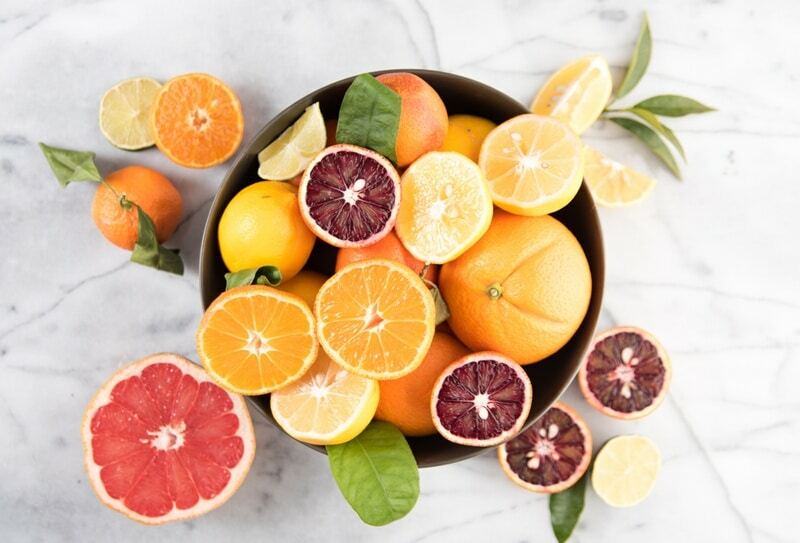 Get enough vitamin C. It’s vital for collagen production. Eat more citrus fruits, broccoli, and bell peppers, and consider a daily supplement. You may also want to consider applying vitamin C topically, in a serum, to improve skin’s texture and soften wrinkles. Exfoliate regularly. When you slough off that top layer of dead skin cells, you encourage the skin to respond by speeding up skin renewal, which includes producing collagen. Exfoliate with gentle fruit acids at least twice a week. Look for copper. One of the key reactions in the synthesis of collagen involves copper. It’s necessary for collagen to crosslink with elastin, so it can provide that stable structure we’ve mentioned. Making sure you’re getting enough copper in your diet, through shellfish, nuts, and organ meat is important, and you can also look for copper peptides in your anti-aging skin care products. Get more L-arginine. This is an amino acid that is important in the formation of collagen. You can find it in sesame seeds, lentils, whole grains, spinach, and seafood, or you may want to consider a supplement. Use sunscreen. Remember that UV exposure damages and destroys collagen in your skin. Always protect with zinc oxide or titanium dioxide with an SPF of 30 or higher. Use natural oils. Natural oils are wonderful for skin, and because they are full of nutrients like antioxidants, essential fatty acids, vitamins, and more. T/hey can also help support collagen production while preventing signs of aging. Try rosehip, argan, jojoba, coconut, carrot, sunflower, red raspberry seed, pomegranate seed, and sea buckthorn oils. Do you have other ways to boost your skin’s production of collagen? Please share with our readers.